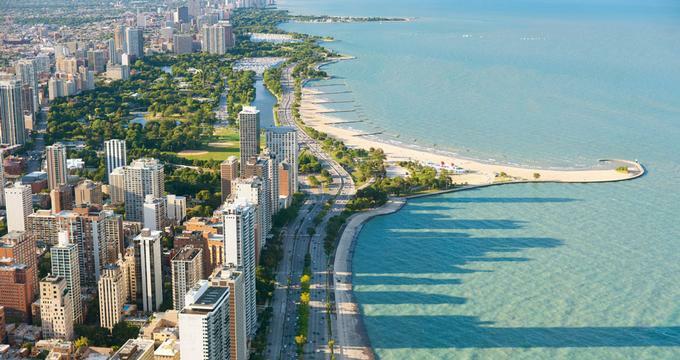 Chicago, Illinois, is a fun destination for foodies, where you will get to taste delicious culinary creations showcasing flavors from around the world. Sample dishes from Peru, Italy, Ethiopia, Eastern Europe, Belgium, Brazil and Japan. Order amazing seafood, New American dishes, barbecue, burgers and creative farm-to-table cuisine. Some of the restaurants on our list are casual eateries, a perfect lunch stop between sightseeing, while others are elegant establishments where you can celebrate a romantic occasion in style. Here are the best romantic restaurants in Chicago, IL. 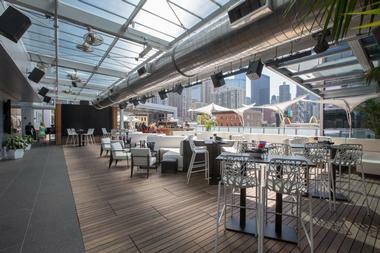 Located in Chicago’s Main Stem river district on the third floor of Renaissance Chicago Hotel, Raised is a rooftop bar with spectacular views of the city and the river. The indoor/outdoor bar occupies what was once the hotel’s meeting space. Decorated in trendy and industrial style, the lounge serves Chicago local craft beers, a nice selection of wines and, both classic and new cocktails. There are six Chicago beers on tap, rotating weekly, and 40 bottled brews, all local. Expect the latest from Off Color Brewing from Logan Square and Local Option from Lincoln Park. There are eight wines on tap and 35 bottles to choose from, by glass or by bottle. Executive Chef Daniel Perez and Specialty Raised Restaurant Chef Timothy Powles offer imaginative shareable plates and bar snacks. The outdoor space has fire pits and space heaters to keep you comfortable. Celeste is a contemporary, chic lounge, restaurant and bar that echoes the glamorous era of turn-of-the-century Chicago. Beautifully designed interiors, stylish décor, and tranquil lighting combine to create an elegant and refined ambiance while three separate dining spaces offer multi-faceted atmospheres. The bar serves a range of classic and inventive cocktails, wines and craft brews, as well as a selection of refined small bites of sophisticated, seasonal American cuisine. 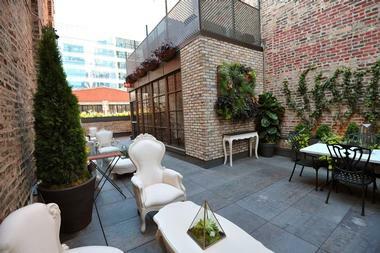 The second floor houses the Deco Room, an intimate dining space that serves an upscale and seasonal dining program in an opulent setting, while a beautiful rooftop garden serves as an urban oasis where guests can comfortably relax and dine. Resting on the border of Chicago’s booming Pilsen and Bridgeport neighborhoods, The Duck Inn is a friendly local gastropub type tavern that serves New American cuisine. Housed in a century-old inn between Loomis Street and the Chicago River, the eatery features a comfortable front lounge/bar space where small plates and light fare from a snack menu are served, as well as an elegant dining room where guests can enjoy first and main courses and slections from an excellent tasting menu. Accompanying the award-winning cuisine is an extensive beverage program that boasts contemporary cocktails, craft beers, and international wines. Demera Ethiopian Restaurant brings a touch of Africa to Chicago with authentic Ethiopian cuisine. Located on the corner of Broadway Street and St Lawrence, Demera serves traditional dishes such as sambussa, messob, and Doro Wat, and they also have an excellent selection of cocktails, wine, and hot drinks. Chef Tigist creates an array of dishes that will take you on a culinary journey into the heart of Ethiopia, with tender meat and vegetable combinations soaked in spicy sauces that guests are encouraged to eat by hand. End the meal with a sambussa turnover (a deliciously sweet pastry filled with almonds, walnuts, cardamom, rose water and saffron) and a strong Ethiopian coffee, which is brewed on site. Located in Chicago's River North neighborhood, Bohemian House honors the city’s rich Eastern European heritage by providing an eclectic menu of Bohemian inspired fare. Exposed brick walls, handsome dark timber, and tastefully understated lighting create a cozy and comfortable ambiance. Chef Jimmy Papadopoulos’ menu offers an array of dishes with distinct influences from the Czech Republic, Germany, and Austria, such as Hungarian lángos (fried potato bread with garlic sour cream) and spätzle. A superior selection of traditional European spirits and brews complement the cuisine. Bohemian House also serves handcrafted cocktails made with fresh, seasonal, and house-made ingredients. 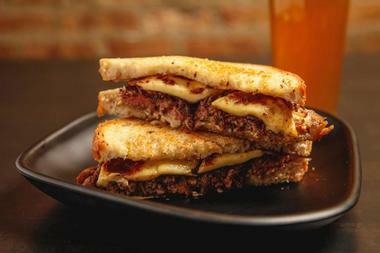 Located in a landmark Bohemian building in Pilsen, Dusek’s is a casual, beer-focused neighborhood eatery that serves comfort food and handcrafted beers in a welcoming, laid-back setting. 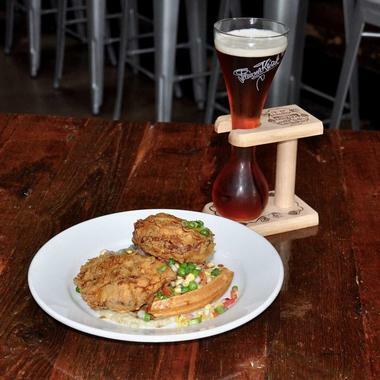 Partners Bruce Finkelman, Craig Golden, and Jared Wentworth have created enticing lunch and dinner menus that feature classic favorites mixed with new age delights, such as cheddar-stuffed pretzels with spicy beer mustard and matsutake mushroom risotto and fried chicken sweetbreads. Located on the first floor of the historic Thalia Hall, the restaurant features newly restored tin ceilings, decadent brass chandeliers, and soft lighting, creating an amicable and pleasant ambiance. Dedicated to showcasing the rich culture and flavors of Peru, Tanta serves a creative menu of authentic Peruvian dishes and beverages in a casual, laid-back setting. Created by Peruvian chef Gaston Acurio, the menu combines traditional Peruvian and Spanish flavors with Chinese and Japanese influences, taking diners on an unforgettable international culinary journey. Tanta is committed to supporting sustainable farming and fishing by using locally sourced ingredients and products. Some of the local favorites include tiraditos (Peruvian-style sashimi), anticuchos (traditional skewers), and freshly made ceviche. A Pisco-heavy cocktail list offers a selection of exotic interpretations on Peruvian favorites inspired by local influences. 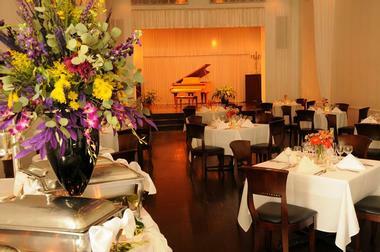 If you are looking for a unique setting to celebrate a special occasion, Tanta is one of the best romantic restaurants in Chicago. Located in the Fulton Market District, Formento’s is an authentic Italian restaurant that serves traditional and classic Italian dishes alongside new Italian-American favorites. Inspired by the age-old tradition of an Italian ‘Sunday-supper gathering,’ Chef/Partner Tony Quartaro has created a menu that takes diners into the heart of an Italian Cucina – think porcini bruschetta and Nona’s meatballs for lunch and wood-fired zucchini and pesto Giovanni for dinner. Desserts include handmade gelato and chocolate cake, while a world-class wine menu features over 600 varietals from around the world, ensuring guests will find the perfect accompaniment to the cuisine. Hopleaf Bar is a Belgian-inspired tavern that serves a wide selection of beers and brews and delicious Belgian fare. Exposed brick walls, high ceilings, and long, wooden bar tables create a tavern-like ambiance, while tasteful décor, music, and mouthwatering aromas add to the casual and relaxed vibe. The gastropub menu features excellent steamed mussels while the bar is home to no less than 41 beers on tap (mostly Belgian brews) and over 260 craft brews and bottled imports. A lovely outdoor beer garden is the perfect place to kick back during the summer with a cold ale and watch the world go by. 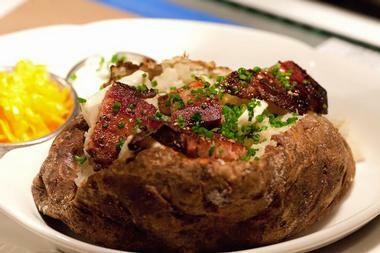 Cork and Kerry is an award-winning Irish pub in the heart of Chicago. 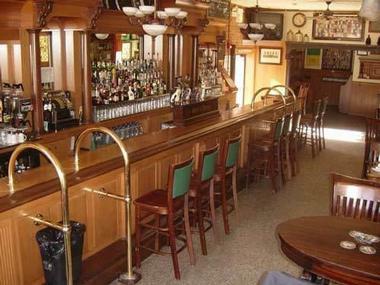 The tavern serves a classic pub-style menu that features favorite dishes such as burgers and fries, grilled cheese, pulled pork sandwiches, mac and cheese, and a variety of salads and sides. A full-service bar offers an excellent selection of beers and brews on tap and by the bottle. There is also an extensive cocktail program and wine list with local and international vintages. Following the Brazilian ‘one price, all-you-can-eat’ tradition, Zed 451 is an upscale eatery that serves a delectable buffet menu of soups, salads, and meat dishes. Heavily laden tables are packed with charcuterie and artisan cheeses, fresh salads, and delicious sides. 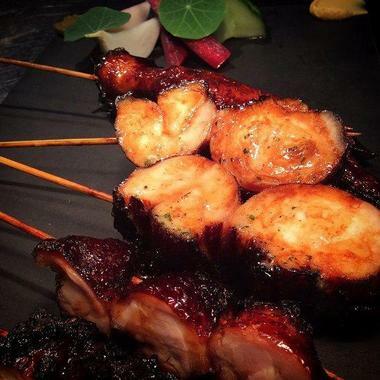 Chef-servers continually pass by with never-ending skewers of different varieties of meat, such as crispy pork belly and ahi tuna. The spacious two-story restaurant features a central fire-pit and double-sided fireplaces, warm wooden floors, and plush leather seating. Everything works in harmony, making the ambiance intimate and aggreable, while a seasonal rooftop garden and bar is ideal for outdoor dining in the summer months. Taking haute cuisine to a new level, the award-winning Grace is a three-Michelin-star restaurant that serves two multi-course tasting menus for dinner. The two menus of this opulent restaurant that comfortably sits 64 are aptly named Flora and Fauna. They offer 8-12 courses of progressive cuisine with full-flavored ingredients that include vegetables, seafood and protein. Each dish comes with a recommendation from an outstanding selection of fine wines. 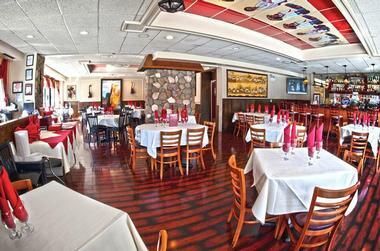 Dinner is served in a serene and intimate setting. Award-winning Chef/Owner Curtis Duffy’s elegant and graceful culinary style reveals itself in every dish, as he employs masterful techniques complemented by a wealth of experience to enhance an array of unique flavors. Lula Café is a popular eatery on Logan Square which offers locally sourced, farm-to-table menus for breakfast, lunch, Sunday brunch, and dinner. Boasting a snug and cozy milieu, the small Bohemian-inspired bistro serves delicious home cooked cuisine that is simple and unforgettable. Enjoy brown sugar-crusted brioche French toast and a fluffy omelet for brunch or a chilled squid salad and olive-oil poached salmon for dinner. Dishes are made to order using fresh, locally sourced ingredients. A creative drinks menu features hand brewed coffee, Abita root beer, and a variety of cocktails. Dine in style on your weekend getaway at the chic Bavette’s, a Chicago-based European steakhouse with a “New American” menu and a cozy yet romantic and sophisticated setting. Stop in and try the Filet Mignon, the delectable Lamb T-Bone, or one of their Plateaux de Fruits de Mer. Owner Brendan Sodikoff opened Bavette’s in 2013. A successful and driven entrepreneur, he also owns several other concept restaurants, including Au Cheval and Doughnut Vault. Enjoy a fabulous dining experience in the elegant, 1920’s French bistro atmosphere at Bavette’s, located on Kinzie Street in Chicago’s River North. 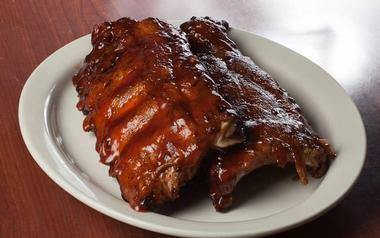 The upscale Gale Street Inn serves some of Chicago’s finest ribs, along with other mouth-watering American eats. Try the “Pullman Burger,” savor some of their delicious jambalaya, or, if you can’t decide and want a bit of everything, order the “Porkapalooza,” which includes a generous sampling of all their pork options (along with their famous ribs) and the jambalaya. The Gale Street Inn originally opened as a tavern in 1963, just across the street from where it is located now. The Karzas family took over the place in 1985 and has been running it ever since. You’ll find it in Chicago’s Jefferson Park neighborhood, at Milwaukee Avenue and Gale Street. If you are looking for a casual place for lunch, check out The Polo Café. Stop in for the crème brûlée French toast or the pan-seared salmon fillet, and don’t miss the “Taste of Chicago” sliced mozzarella bread. If you really want a one-of-a-kind visit to the Polo Café, they also have a “Gospel Sing-Along Brunch” every Sunday morning. Owner and Chef Dave Samber first opened this place as a candy, nut, and ice cream shop in 1985 and later expanded it to a café in 1990. 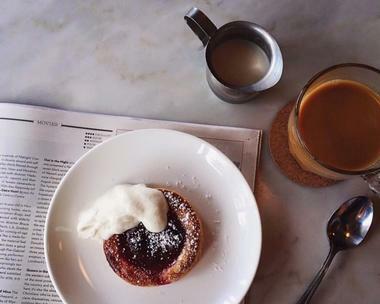 Head to Morgan Street in Chicago and relax in the fun atmosphere of the Polo Café. Girl & the Goat is known for its lively and electric atmosphere, a setting that makes its family style menu of bold, flavorful foods with global influences all the more exciting. Try creatively prepared dishes like the Kohlrabi Salad, Grilled Walters Chicken, or the Goat Empanadas. Don’t miss the Honey Sambal Brioche, a local favorite. James Beard Award-winning Executive Chef Stephanie Izard (from Bravo TV’s ‘Top Chef’) opened the restaurant in 2010 with restaurateurs Rob Katz and Kevin Boehm of BOKA Restaurant Group. Chef Izard also owns three other restaurants in the neighborhood, so check those out if you’re curious. 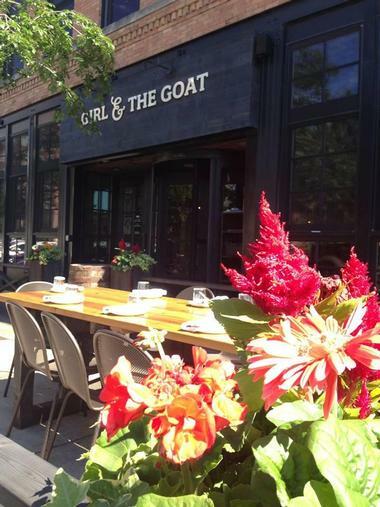 Girl and The Goat is located in the Randolph Restaurant Corridor in Chicago’s West Loop. If you are in the mood for a taste of the South, you’ll want to stop by Big Jones and have some delicious, farm-fresh Southern dishes made with locally-sourced, sustainable ingredients. Savor the salt and pepper biscuits for brunch, enjoy the rich gumbo for lunch, or dig in to their smoked and smothered pork shoulder for dinner. Chef and Co-Owner Paul Fehribach opened Big Jones in 2010 with the objective of focusing on farm-to-table cuisine created from sustainably grown heirloom crops and livestock and sustainable seafood. 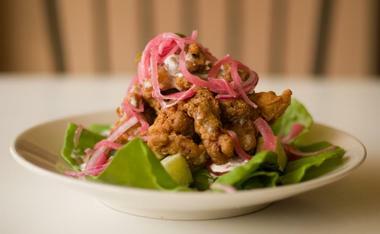 You’ll find this scrumptious eatery on Clark Street in Chicago’s Andersonville neighborhood. 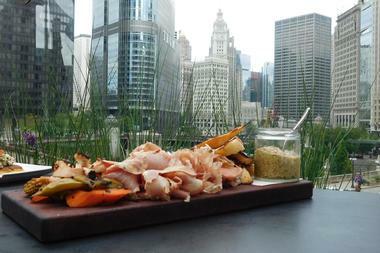 You’re guaranteed to never forget your dining experience at the exquisite I|O Urban Roofscape, perched on the fourth floor terrace of Chicago’s luxurious Godfrey Hotel. Enjoy breathtaking views of Chi-Town’s southern skyline while you sip signature cocktails such as the I|O Spring Awakening. 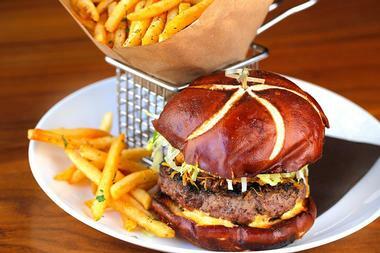 Start your meal off with the black truffle fries or try the “Champagne & One of Everything” dish for a weekend brunch. Executive Chef Riley Huddleston has been overseeing the kitchen at I|O Urban Roofscape since it opened in early 2014. The Godfrey is located in the Near North district, not far from the River North border. The Japanese business-inspired Momotaro restaurant serves some of the best sushi in town, as well as a number of other mixed traditional-contemporary dishes and beverages that embrace Japanese culture. You’ll be impressed by the restaurant’s unique and refined design, which features an array of sushi stations and an efficient Robata on the main floor. Enjoy the delectable sushi, As Miyazaki Beef Striploin, or the Kamachi Sashimi. Executive Chef and partner Mark Hellyar opened the restaurant with restaurateurs Rob Katz and Kevin Boehm of the BOKA Restaurant Group. Momotaro is located in the Fulton Market District of Chicago’s West Loop. Celebrate a special occasion or simply relish a perfect dinner in the chic atmosphere at Chicago’s upscale steakhouse, The Capital Grille. 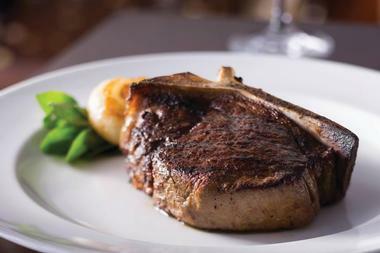 This place is known for its dry-aged steaks, and you won’t be disappointed by its American cuisine. Tantalizing dishes like Gorgonzola and truffle-crusted, dry aged NY strip with cabernet reduction or the all-natural herb-roasted chicken will surely impress. 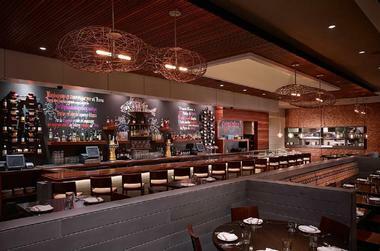 Executive Chef Jim Nuetzi oversees the kitchen at the Chicago site of this Darden Restaurants-owned chain. The Capital Grille is located in the heart of downtown Chicago on North St. Clair Street near the Magnificent Mile.